Learn highway construction techniques with Cat® Simulators Advanced Dozer Simulator System. Experience training exercises such as a Machine Walkaround, Controls Familiarization, Site Clearance, Pad Building, Slope/Ramp Building, Road Construction, Drainage Ditch Building, plus an Open Training mode. Follow and match a Grade Control profile during key exercises. 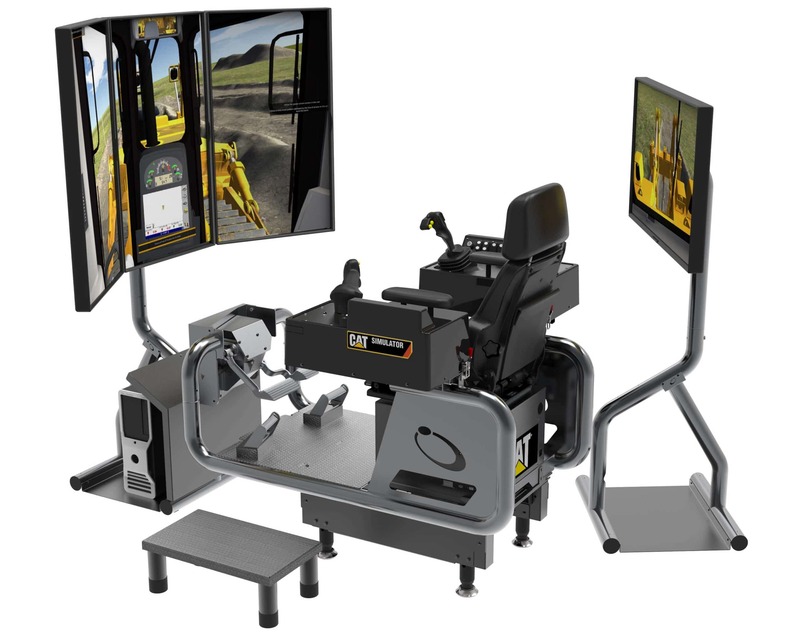 Record and report each simulator session so operators, instructors and administrators can see the result. Hardware – Frame and controls needed to operate the simulator; computer; mouse; keyboard; seat; 2 monitor stands; three 43” front monitors and one 32” back monitor. Software – Advanced Dozer Simulator software and SimU Campus™ Training Records Management software. Multiple languages supported in the software. Ask about these options. VR Edition: Allows the user deeper engagement in the simulated environment with the addition of virtual reality headgear. Find out about Cat Simulators breakthrough VR technology!